Dates: April 2005 to June 2005. 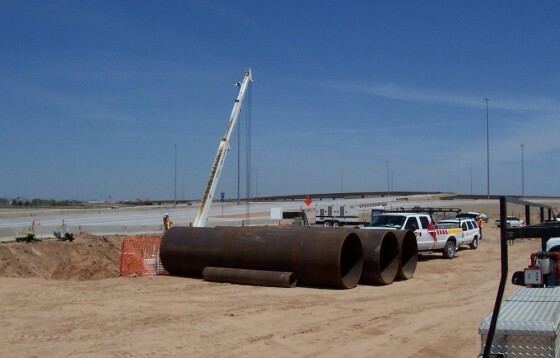 Description: SSC installed 500’ of 60” casing to carry a 30” RGRCP sleeve for SRP irrigation. Challenges: This was a very long bore in hard soil conditions under a busy freeway, with only 4’ of cover between the freeway and the casing. 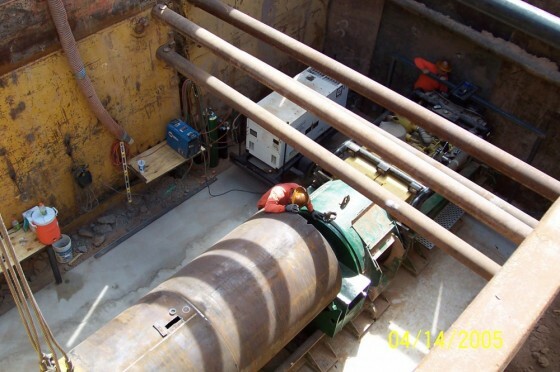 Results: SSC’s crews used a BMTA machine to cut through hard soils and allow the installation of 500’ of 60” steel casing. 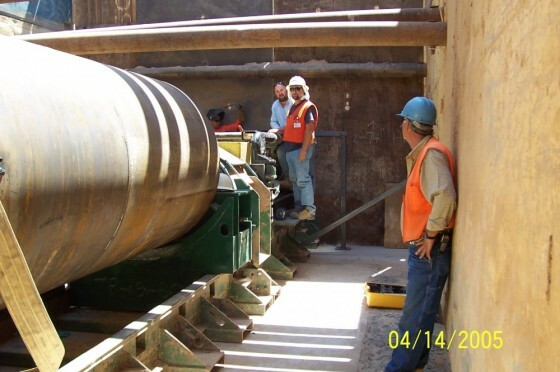 The BMTA operation is a complex one with many critical pieces, all of which worked smoothly together and delivered the desired result – a gravity fed siphon for irrigation water on line and grade. This all took place under the busy Loop 202 freeway and connected the irrigation basins on each side of the freeway where it meets the I-10.